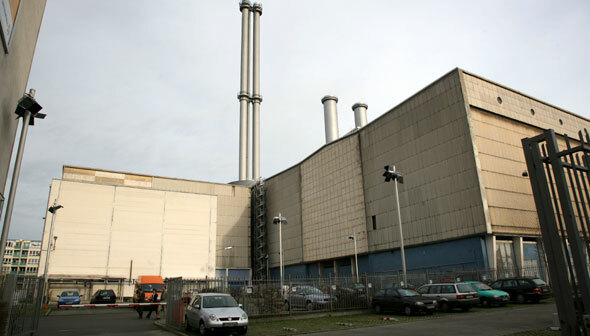 According to a short article in The Berlin Paper, "legendary" Berlin nightclub Tresor is set to reopen "in an old steam-heat generating plant" on Köpenicker Straße. [Image: Tresor's new home; photo by Thilo Rückeis for Der Tagesspiegel, via The Berlin Paper]. Tresor's original founder, Dimitri Hegemann, "wants to promote electronic music and electronic art" in the new space. Indeed, Hegemann "envisions hosting pieces similar in style to Olafur Eliasson's Weather Project at the Tate Modern." The new location "boasts four levels, 20,000 square meters of space (215,278 square feet), and 30 meter ceilings (98 feet). It lends itself to the kind of third art space between the Nationalgalerie and Hamburger Bahnhof that many in Berlin, including mayor Klaus Wowereit, have been calling for." A quick note on the original Tresor: it opened in 1991 in the vault of the old Wertheim department store, near Potsdamer Platz, on what would have been the east side of the Wall. There was an upstairs space, called Globus, for house music, and this insane basement – the actual Tresor – where low ceilings, hundreds of people, ridiculously loud music, and smoke so thick you sometimes couldn't see your own hand in front of your face made it feel like some sort of serial killer UFO-dungeon loose beneath the streets of the city. 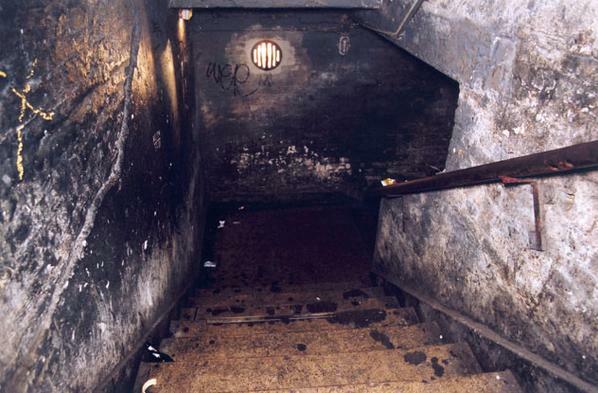 [Images: The staircase down, and the dancefloor it led to; photos courtesy of Tresor]. 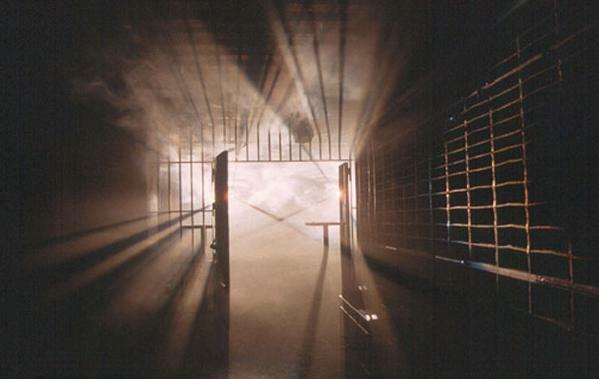 As Tresor's own website describes it: "the club’s rough, apocalyptic atmosphere ruled above all: condensation dripped down the raw concrete walls of the old vault rooms; rusty steel bars separated visitors from the bar; several hundred forced-opened safe-deposit boxes lined the walls that spoke of wealth long forgotten; strobe lights and fast, hard beats dominated the dance floor. Only here could electronic music correspond with such architecture – the senses were left equally numbed and brutalised." And I was there almost every Wednesday and Friday night for two summers in a row. Going deaf. Meanwhile, the new space could be open to the public as early as March 16th, 2007. Anyone want to fly me to Berlin...? 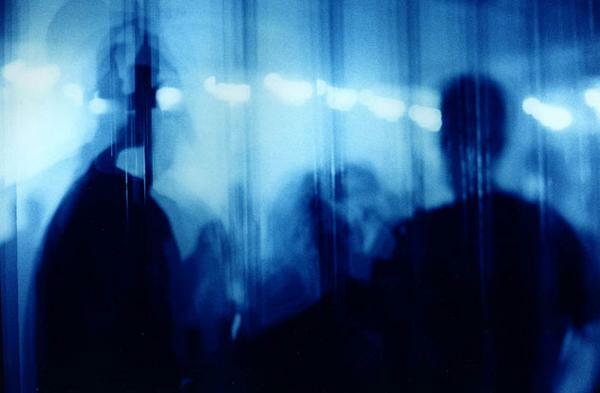 [Image: Humans beneath the surface of the earth, listening to music; photo courtesy of Tresor]. (News spotted via Artkrush. Note: you can listen to old sets from Tresor via this link). Looks like they might have some serious asbestos removal issues. i am here covering bread + butter so i'll be sure to shoot some video of the inside. The Wertheim site is also renowned for being the subject of one of the largest and most long-running disputes over property confiscated from Jews under the Third Reich's Aryanization program. As I understand it, the pre-WWII structure was (at least) largely destroyed by bombing, but I wonder whether any of the original vault survived. It's about halfway down the page. Just thought you might be interested. all someone has to do now is re-open the music institute in detroit, and we'd be golden.